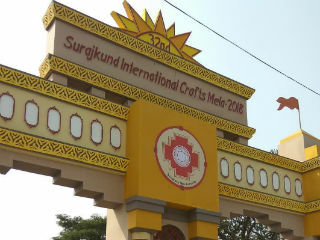 On 16th Feb, 2018, A splash of colours, rhythm of drum beats and joy de-vivre merge at annual Surajkund International Crafts Mela in Faridabad, Haryana where all other states as well as 20 other countries showcased and promoted their handicrafts and handlooms. 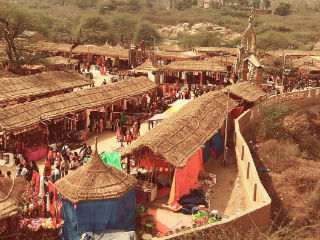 A large number of renowned National and International folk artists and cultural groups performed at Chaupals and open air theatres in fair premises. The delightful journey began early in the morning and we reached the venue at 12noon. We were accompanied by our teachers – Dr. Pratima Diapuria (Dean, PGDM) , Dr. Deepti Kakkar and Ms. Pooja Jain. 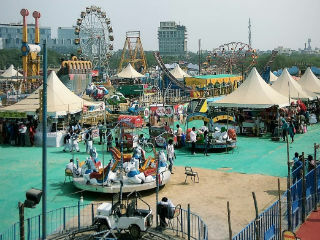 At the entrance, there was a separate section for rides. 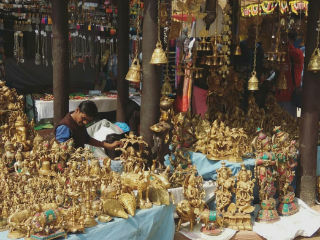 The other section led to the various stalls of different states that offered regional food. The true essence was felt in the air and we came back with best memories in the evening. It was really a memorable visit as it gave us a break from our rushy lives. Looking forward for more such events in future.